Showing 1 - 15 of 15 articles tagged "The Last Man on Earth"
Will Forte thanks Last Man on Earth fans: "It was an experience that I’ll cherish forever"
"Sad news yesterday," he tweeted this morning. According to Jesse David Fox, Forte treated nearly every episode as a series finale. "We've grown so accustomed to Fox renewing low-rated comedies that Thursday's axings felt shocking," says Daniel Fienberg. Will Forte's Fox comedy will end with last Sunday's cliffhanger season finale. Are you the last person watching The Last Man on Earth? 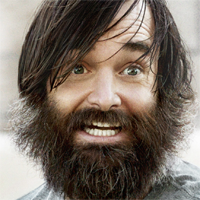 "Sometimes I feel I am the last man on Earth watching The Last Man on Earth," says Ben Yagoda. Will Forte on The Last Man on Earth's cliffhanger finale: "We’re not going to put a little bow on the show for them"
"If we got a fifth season, we’d probably be thinking that was our last season," he says. He'll reprise his role as Tandy's brother in several episodes. The Portlandia vet will play a character named Karl, “a survivor with an interesting past.